With pools, lakes and beaches open, it's tempting to fling yourself into the water. But don't dive in unless you know it's safe to do so, or you could end up with a severe injury, such as a broken neck or spine, medical experts say. "Always check the depth of the water before diving in," said Dr. Eeric Truumees, an American Academy of Orthopaedic Surgeons spokesman from Austin, Texas. "If you're unsure of the depth of the water, go in feet first. 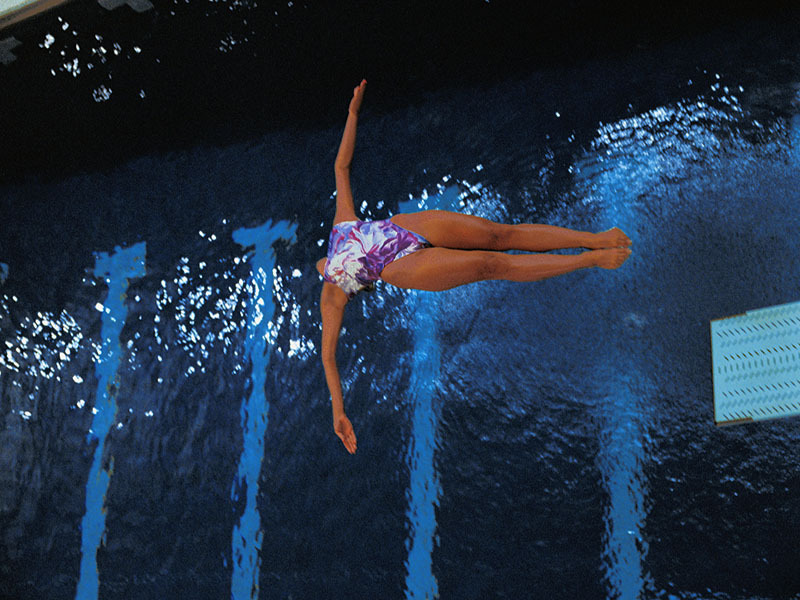 Diving in a shallow pool can lead to life-threatening injuries or even death," Truumees said in an academy news release. In 2016, U.S. emergency departments, doctors' offices and clinics treated almost 36,000 people for diving-related injuries; more than 32,300 people for diving board-related injuries, and almost 582,000 people for swimming-related injuries, according to the U.S. Consumer Product Safety Commission. The following safety tips from the surgical group may reduce your risk of injury while enjoying the water. Know how to swim, wear a life jacket if you're an inexperienced swimmer, and don't swim if you are too tired, cold or overheated. Always swim in supervised areas with lifeguards. When diving from a high point, make sure the bottom of the body of water is double the height from which you're diving. For example, if you're going to dive from 8 feet above the water, the water should be at least 16 feet deep and free of obstacles. Never dive headfirst into above-ground pools. Never dive headfirst into water that is not clear because sand bars or objects below the surface may not be visible. Only one person at a time should stand on a diving board. Dive only off the end of the board, Don't run on the board. After diving, immediately swim away to clear the way for the next diver. Never drink alcohol before or during swimming, diving, or boating because it can impair balance, coordination and judgment.